When McDonald’s embarked on a new headquarters project in 2016, they announced they would be leaving their sprawling 78-acre campus in Oak Brook, Illinois, and moving to the heart of Chicago’s West End, near other well-known tech companies and popular urban hangouts, and settling in a high-profile property formerly occupied by Oprah Winfrey’s Harpo Studios. McDonald’s has constantly evolved its business model to keep up with consumer demand, and their technology advances in the quick service market have been copied and deployed all over the world, yet the environment for corporate employees who develop and test those technologies was stuck in the 1970s, with little attention to modern workplace design and effective communication tools. So, interiors giant IA Interior Architects designed McDonald’s new headquarters with the goal of retaining the workforce that made them a household name while also attracting a new generation of workers that understand the 21st century demands of their customers. 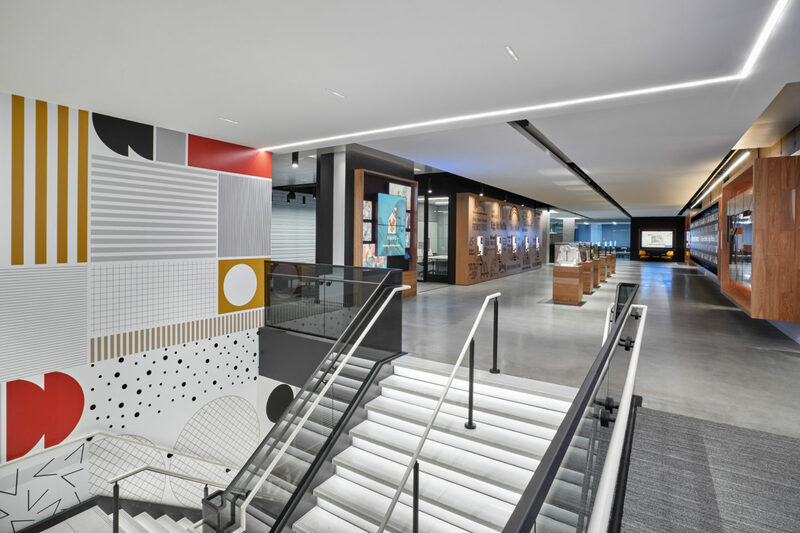 McDonald’s new $250 million, 500,000-square-foot, nine-story Chicago campus opened in June of 2018, full of bells and whistles in the corporate office spaces, Hamburger University and test kitchens to accommodate the evolving expectations of kiosk designers, digital menu board creators, branding professionals and – yep, you guessed it – chefs. 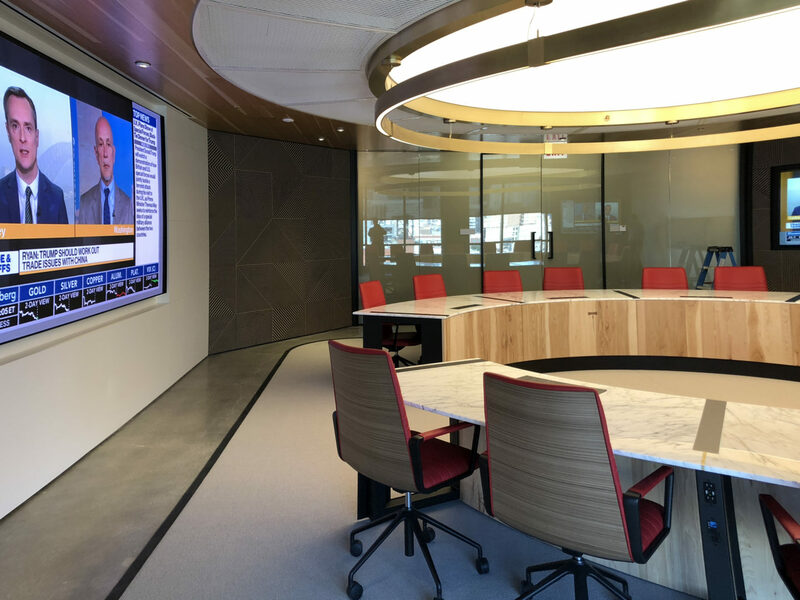 Waveguide LLC was selected as the audiovisual, telecom cabling and acoustical design consultant and tasked with bringing their headquarters environment into alignment with their corporate vision. Waveguide developed and documented new standards for communication technology, which led to enterprise changes that included a focus on mobility, new collaboration platforms, user experience protocols, video-enabled meeting rooms, intelligent room scheduling, and WiFi touch-down spots that were as dependable as wired offices. The headquarters also includes new and improved processes for handling technology conference center customer service requests. Prior to the headquarters move, audiovisual support was not readily available – support calls were logged, but rooms were taken offline until a vendor could be scheduled for maintenance or repair – while the new conference center and university space have dedicated on-site staff to coordinate meeting setup, troubleshooting and issue resolutions. These new implementations that enable user-friendly collaboration with a consistence user experience across the entire McDonald’s campus have been so successful that the technology standards are now being deployed to each of McDonald’s regional offices nationwide. We’ll just go ahead and say it: They’re lovin’ it!